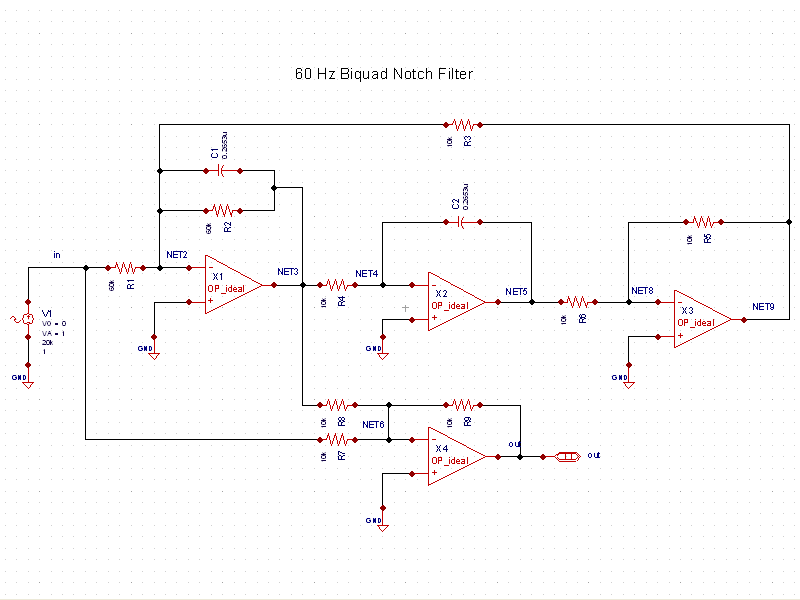 Example 5 demonstrates the practical use of a biquad circuit configuration (see biquad.png ) to realize a notch filter. The four-opamp biquad circuit is extremely useful as it can change the filtering characteristics to realize lowpass, bandpass, notch, or allpass filtering with the addition or removal of specific resistors. Many audio applications require removal of the 60Hz hum associated with power supplies. 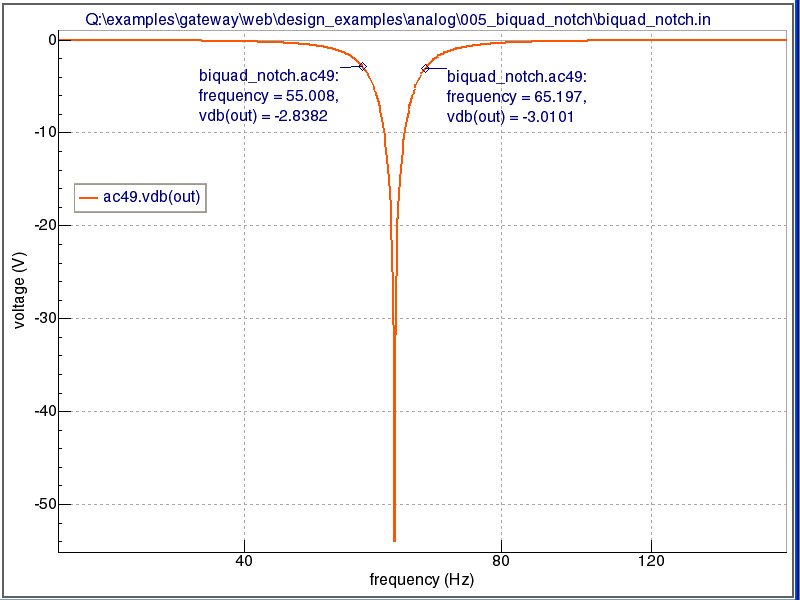 This example uses ideal opamp SPICE models and the four-opamp biquad to design the 60Hz notch. In this case, the design should pass frequencies below 55Hz and above 65 Hz and should have no more than 3db of loss. 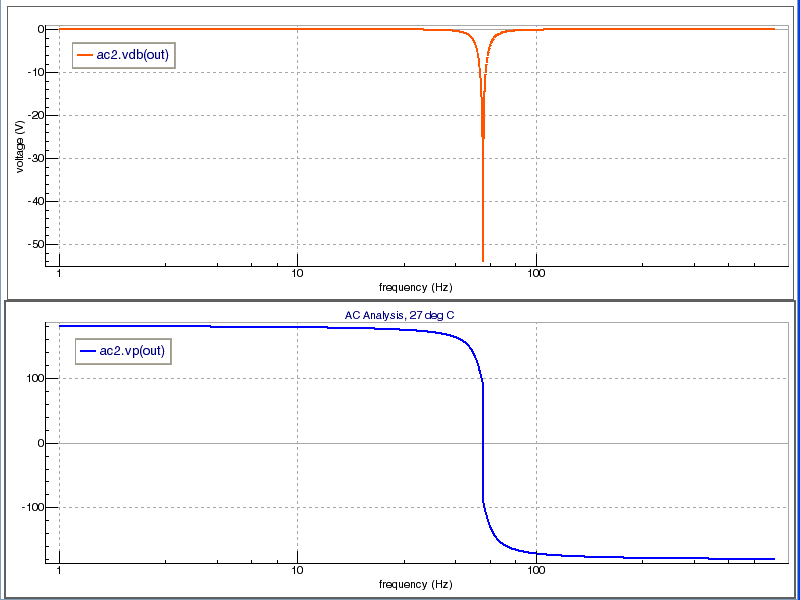 Running the simulation produces the waveforms.png showing the phase and magnitude responses of the filter. Looking more closely at the magnitude_response.png shows that the filter is near or below the -3dB loss at the intended frequencies.